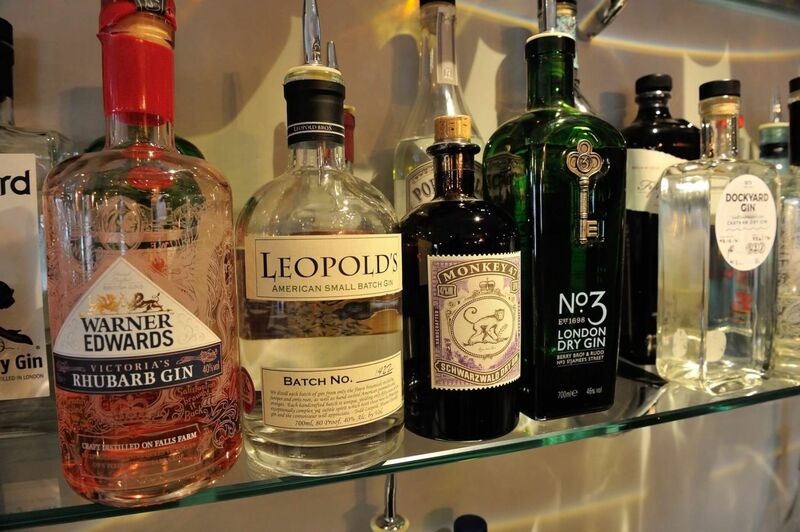 We personally select an ever-changing range of premium beers, wines and spirits, with particular focus on locally brewed real ales, and a collection of more than forty eclectic gins and only the finest English and international wines. 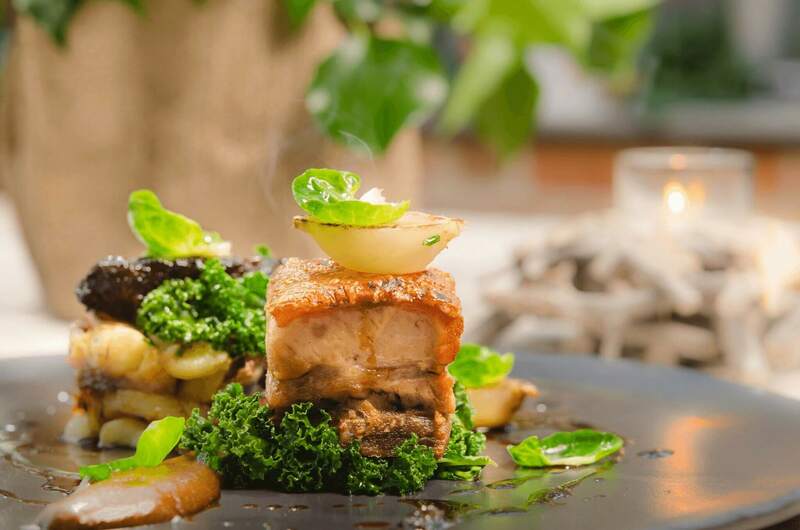 Head Chef Samuel McClurkin and his team will delight you with culinary expertise, hand selecting the finest local ingredients to serve spectacular seasonal dishes, which demonstrate the best of modern British food. Escape to the stunning Kent countryside and enjoy a relaxing stay in one of our eight individually styled, en-suite luxury guestrooms. 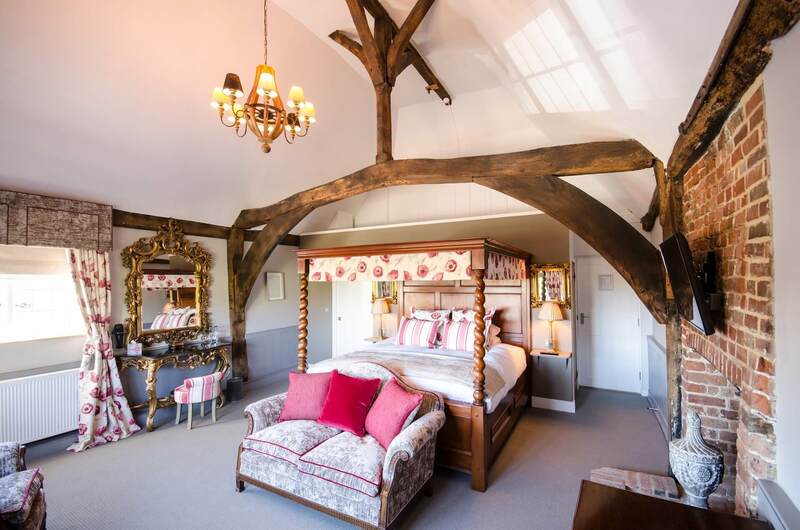 Take a romantic break in our four poster bed suite or book the family suite and bring the kids. 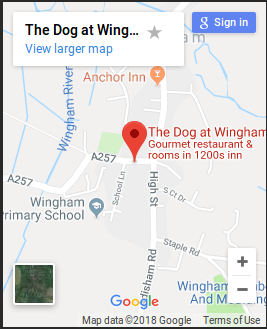 Come and stay at the Award Winning Dog At Wingham and enjoy a complimentary drink on arrival, 3 Course à la carte dinner, stay in a luxuriously unique room with world renowned Hypnos beds and enjoy an amazingly hearty and health breakfast in the morning prior to you departure. 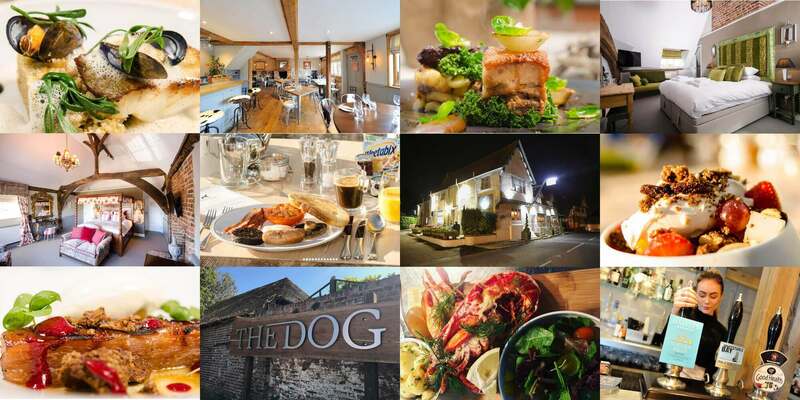 Combine your stay with a round of golf at one of the finest and most famous courses in the World, let us arrange a luxurious day of spa treat’s, shoot some of the best game the country has to offer. 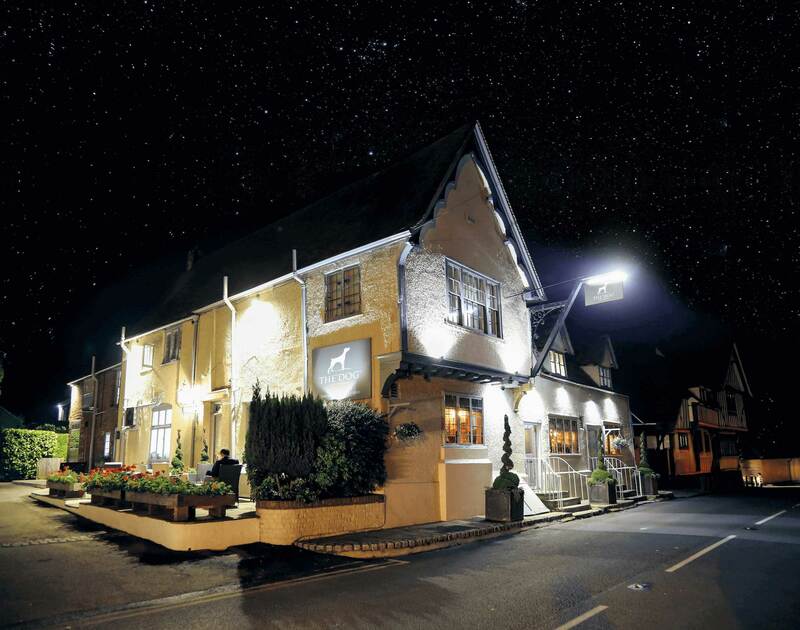 We also host weddings and private dining party celebrations as well as food and drink clubs for locals.